(The Antimedia) Even in Washington D.C. politics, FBI Director James Comey is a confusing figure. With only ten days left before the 2016 election, Comey revealed the FBI was investigating Hillary Clinton’s use of a private email server. That announcement played extremely well for Donald Trump and resulted in a backlash from Democratic lawmakers Dianne Feinstein of California and Tom Carper of Delaware, who authored a letter demanding a briefing on the investigation. Related Is The C.I.A. Lying About "Russian Hacking?" Then, earlier this month, the New York Times revealed that Comey asked the Justice Department to publicly reject President Trump’s claims that Trump Tower was wiretapped by the Obama administration. Comey’s request came in response to two early morning tweets sent out by President Trump on March 4th. On Monday, the House Intelligence Committee unloaded a barrage of questions upon Comey, and while he refused to comment on several of their inquiries, he did reveal two ground-shaking facts from inside the intelligence community. While both of his revelations were damaging to the Trump White House, specifically their desire for credibility and to put the Russia investigation behind them, he also failed to provide Democrats the nail-in-the-coffin moment they were hoping for. We're revolutionizing the news industry, but we need your help! Click here to get started. Trump’s own inner circle is not helping his case. Confidant Roger Stone has been a spur in the heel of the administration’s efforts to rid themselves of the Russian controversy. Stone has boasted about a relationship with Wikileaks insiders, including Julian Assange. Though Assange has denied that Russian state actors were behind the DNC leaks, 17 American intelligence agencies concluded the Kremlin was involved — conclusions that apparently remain questionable. And Monday’s hearing didn’t give Democrats’ hopes of exposing collusion the extra boost they needed. 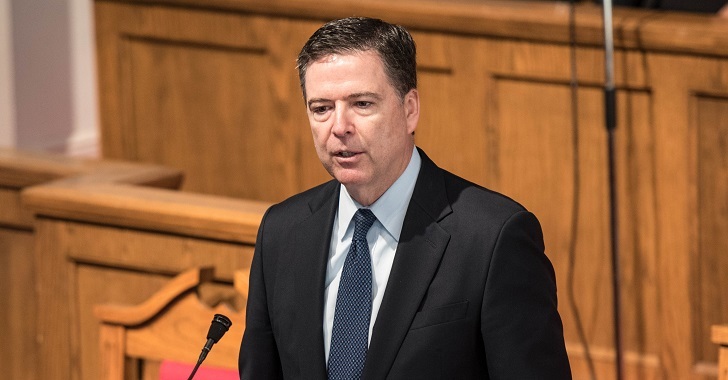 In a surprising moment, Comey also said the Russians “wanted to hurt our democracy, hurt her, help him.” Even so, reports seem to indicate that President Trump intends to keep James Comey on in his role as FBI Director. While the commander-in-chief has a bittersweet relationship with the intelligence community, it would be extremely unusual for him to remove Comey. The White House seems to have been backed into a corner with the House Intelligence Committee’s hearings. These are likely to last for a few days, though they certainly haven’t been nailed to the wall. Unfortunately for Democrats, who had previously smelled blood in the water, they received no confirmation of their consistent allegations. Trump’s claims weren’t vindicated, either. In D.C., even Democratic sympathizers are beginning to characterize the Trump administration’s’ relationship with Russia as a room full of smoke. And to the chagrin of Democrats, Comey’s statement that Trump’s wiretapping tweet was unfounded didn’t seem to rattle Trump allies.